Ever wonder how you might get coverage for your business, your campaign or important social developments? Join us for this special event hosted by the Harvard Business School Association of Orange County (part of their Inside the Company series). They will walk you through how a local story lands on the cover of a news section. They will let you know what elements they look for in terms of storytelling, visuals and voice. They will highlight mistakes people often make in pitching story ideas - and how to avoid them. They will suggest ways to humanize stories to make an issue come alive - and let you know what type of diverse stories they'd like to see more. And they will be candid about what type of stories have little or zero chance of appearing on news pages or broadcasts. Moreover, they will take sample pitches from the audience, giving you feedback right on the spot. Who better to interview and moderate this panel than another journalist? Anh Do, veteran journalist for such reputable publications as the LA Times, the Seattle Times, and the Orange County Register will moderate this lineup of speakers from print and broadcast platforms. 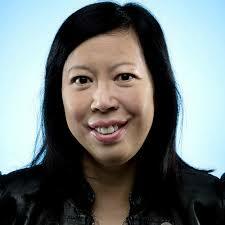 Anh has spent her entire life in journalism. In 1978 her father founded, Nguoi Viet Daily (NVD), the most established and widely circulated Vietnamese-language newspaper in North America. Not only does NVD reach a quarter of a million viewers in Southern California but it also has a global following on almost every continent. This event is being hosted by Nguoi Viet Daily (NVD) at their headquarters in Little Saigon. Hear the history of this incredible publication, Nguoi Viet Daily, that started out as one-man operation in 1978 and is now an ESOP. It’s a story of dedication to culture, journalistic integrity, and most of all to one man’s work to ensure his mission and his team survive beyond his lifetime. 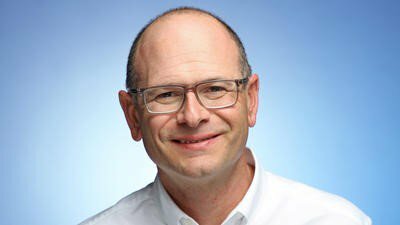 John Canalis is the executive editor of the Los Angeles Times Community News, which produces TimesOC, the Daily Pilot, the La Canada Valley Sun, the Burbank Leader and the Glendale News Press. 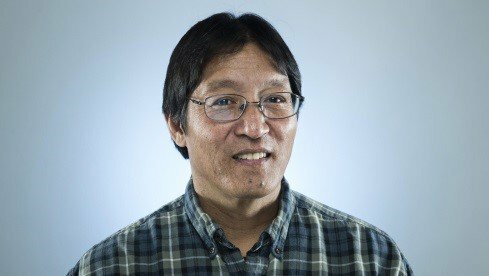 John previously worked in reporting and editing roles at the Long Beach Press-Telegram, the Orange County Register and The Times. He also teaches college journalism classes in Orange and Los Angeles counties. John has a bachelor's degree in journalism from Cal State Long Beach and an MBA from Pepperdine University. Ashley Dunn is the Page One Editor for the Los Angeles Times. Previously, he worked as assistant managing editor in charge of California news, overseeing the paper's largest group of editors and reporters, who cover the length and breadth of the state and who have won numerous awards, including Pulitzer Prizes for breaking news, features and most recently, its investigation of corruption in the city of Bell. Dunn joined The Times in 1986 as a suburban reporter in the San Gabriel Valley and later moved to the Metro section, where he participated in coverage of the 1989 Loma Prieta earthquake and the 1992 Los Angeles riots. After a stint at the New York Times, Dunn returned to Los Angeles in 1988 as a reporter and then editor in The Times' Business section. He later was named to run science coverage. Most recently, he worked as deputy national editor from 2007 to 2011 and played a central role in the coverage of some of the biggest national stories of recent years, including the 2010 oil spill in the Gulf of Mexico and the 2008 election of President Obama. Dunn is a graduate of UC Berkeley with a degree in English. Prior to his career at The Times, Dunn worked at the South China Morning Post in Hong Kong, the Danbury News-Times in Connecticut and the Seattle Post-Intelligencer. Jerry Sullivan is the Editor of the Los Angeles Business Journal, the leading source of news, feature stories, analysis and commentary for the community of business in Los Angeles. He previously served in the same capacity for the Orange County Business Journal, a sister publication based in Irvine, California. Sullivan founded the Los Angeles Garment & Citizen, which served neighborhoods throughout Downtown Los Angeles and surrounding districts from 2001 to 2010. He also has edited California Apparel News, Pacific Textile News and World Trade Magazine. Prior experience as a reporter includes working the crime, sports and business beats for weekly and daily newspapers. Sullivan is a native of Chicago, and a graduate of Marquette University in Milwaukee, WI. Anh Do is a second-generation journalist, she has worked at the Dallas Morning News, the Seattle Times, the Orange County Register and Nguoi Viet Daily News. Do, born in Saigon, is a graduate of USC she also studied international relations in London and Spanish in Mexico City. Apart from words, she's passionate about all things canine, spending 24 years volunteering in dog rescue.